The Nyandarua county government has banned Sunday market days amid protests by traders.Governor Francis Kimemia (pictured) yesterday said the day should instead be dedicated for church services. “Sundays should be dedicated to thanking God and not for trade. Personally, I see it as ungodly for some people to take the advantage of the day not to go to church but to the market. My administration will not encourage this,” he said. A fascinating book and a must for anyone in search of the truth. 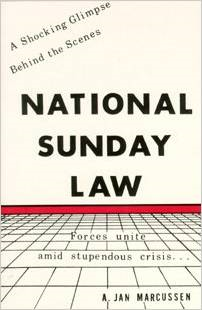 National Sunday Law is a small Ebook with less than 100 pages and medium size print, a very quick read.